Two weeks ago the PNG Training Institute (LTI) hosted its first ever open day in its 45 years. 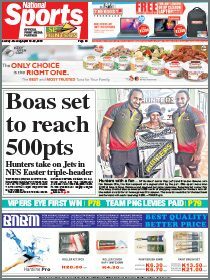 The event targeted secondary schools taking legal studies as their elective subject, as well as students undertaking the Bachelor of Law Degree programme at the University of Papua New Guinea’s (UPNG) School of Law. The event was aimed at creating awareness on what are the prerequisites and or the “nuts and bolts” of becoming a lawyer to the aspiring lawyers in the secondary schools as well as for those studying law at UPNG. It was attended by Grade 11 and 12 students of Kopkop College, Marianville Secondary School, Jubilee Secondary School and third and fourth year law students from UPNG. According to LTI director, Pauline Mogish, the focus of the day is to showcase what LTI does every day. “The purpose of the day is also to partner with the secondary schools and the UPNG School of Law to join hands together to create awareness to make sure that students in the secondary schools and those already in law school are serious in their studies so that they are able to score good marks to enable them to go into law school of even other professions but for our purposes, the law school. “The institute is a post-graduate institute and can only take in those who graduate with a Bachelor of Law degree from the University of Paua New Guinea. Mogish commended and acknowledged the schools that have responded to the invite and have attended. LTI was established under Section 2, subsection 1 of the Post-graduate Legal Training Act 1972. It received its first intake of trainees 45 years ago on March 15, 1973. On its quiet and humble beginning in 1973, it was located in downtown, Port Moresby at the Old House of Assembly. There were only six pioneer trainees, namely the ate former Chief Justice Sir Mari Kapi, late Justice Konilio, late Theodore Miriung, retired Judged Greg Lay, Sir William Kaputin and Misac Rangai. The first director of LTI was Peter Lalor. The first chairman was the then Chief Justice of the Territory of Papua and New Guinea, Sir John Patrick Minogue. The early curriculum used by the Institute was adopted from the New South Wales Practical Legal Training Programmes. In terms of location, LTI shifted in the early 1980s in downtown, Port Moresby to Gordon Industrial Centre to a site next to Lings Freezer. In 1999, the institute relocated to its current location within the campus of the Institute of Public Administration. LTI is currently working on moving to its final location near the National Research Institute within the next few years. From the six pioneer trainees since the institute’s establishment, the number of intakes per year has progressively grown. The largest number of intakes in the institute’s history is 131 in 2014. The gradual increase in the number is due largely to the improved infrastructure and the learning facilities available to cater for the larger number of trainees. These include the new lecture auditorium, new computer lab and the ablution blocks. Much of the infrastructure improvement was possible through the financial assistance of the Australian Government under the Law and Justice Sector programme. 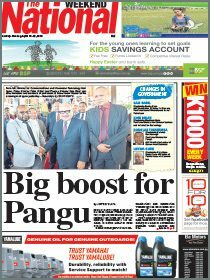 The Government of PNG has also enabled the institute to raise its intakes by increasing its annual budget. The director is responsible for the management of the day to day affairs of the institute. For the last 45 years, the institute has trained and certified more than 2,000 lawyers, most of whom have go on to be high-profile leaders and executives in the country. Three chief justices (late Sir Mari Kapi, Sir Arnold Amet and current Chief Justice Sir Salamo Injia) including current and past judges of the Supreme Court and the National Court, magistrates of the district court and lawyers, both from the private and public sector have come from the institute. Most have become heads of statutory bodies as well as heads of overseas missions. Also Members of Parliament (MPs) and Ministers in the current Parliament have come from the institute. These include Davis Steven (Minister for Justice and Attorney-General), Alfred Manase (Minister of Civil Aviation), William Duma (Minister for State Enterprises), Rimbink Pato (Minister of Foreign Affairs), Powes Parkop (Governor of NCD), Kerenga Kua MP for Sinasina-Yongumugl) and Dr Alan Marat (MP for Rabaul). For this year’s batch, there are 78 trainee lawyers; 33 females and 45 males. Put simply, the core function of LTI is to provide practical legal training for persons wishing to be admitted to practice law in the National and Supreme Courts of Papua New Guinea. Courses provided by the Institute are divided into seven modules: Lawyers’ skills and professional conduct; civil practice and procedure; criminal practice and procedure; civil and criminal advocacy workshop; commercial law practice; property law practice; and work experience. There are total of 23 subjects taught under the seven modules. There are two highlights of the courses; the civil and criminal advocacy workshop jointly run by the local bar and the Victorian Bar which is hosted in July yearly; and commercial law litigation workshop conducted by the Bar Association of Queensland and is held in September each year. LTI also provide free legal services to the public. This programme commenced in 2001. The trainees take up instructions and handle live matters and also represent clients where necessary in the district courts. The legal aid became an assessable subject in 2008 where trainees are assessed on how they handled their clients’ matters. LTI aims to continue to improve on course content and the delivery of sound results to suit the changes in the society. The writer is a recent law graduate of the University of Papua New Guinea and a current trainee lawyer at LTI. The views expressed are his and do not represent the views of The National nor LTI.